Jan is a writer who lives with his wife, Joy, in Minnesota. In addition to writing this Blog, he is the author of fifteen books. His latest, Evangelicalism and the Decline of American Politics, will be published by Cascade Books in the summer of 2017. 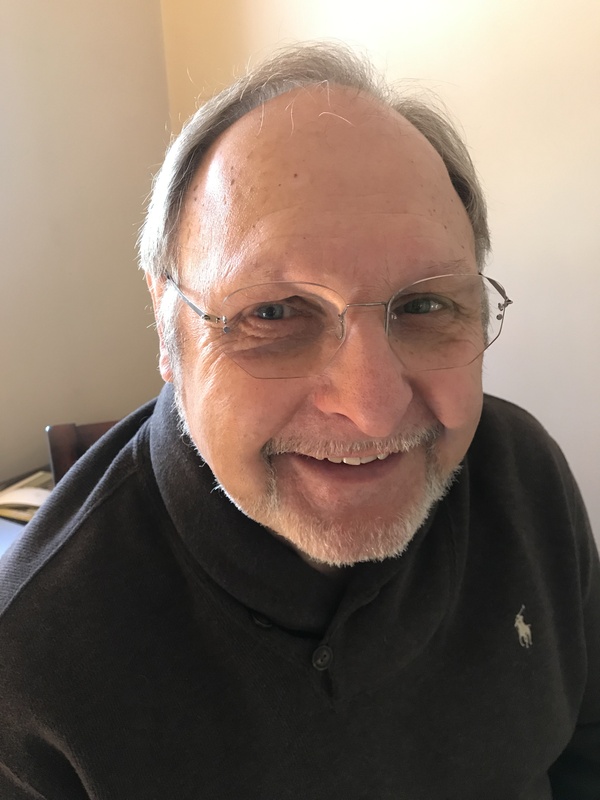 Jan has taught at the college and seminary level, the latter as a tenured senior faculty member at Lexington Theological Seminary until he chose to leave his position to join his wife, Joy, in moving to Minnesota where they started a new church. They retired from the new congregation after 14 years as co-pastors, allowing Jan to write full-time. Jan is also known for his preaching, having been the preacher of the week at the Chautauqua Institution and a guest lecturer across the country. We live in a world of lies, lies and more lies so it’s refreshing…even gratifying… to know that we can count on Jan Linn to engage in discussion of important issues that affect all of our lives. It’s been along time since playing pass tag in the church yard at Fairview Christian or in the middle of Sackett Street with Mrs Godding yelling at us to stay out of her yard, But you hit the nail on the head with your NFL Blog. I have now been a high school and college official for 40 years and its easy to see the influence of the NFL and its thugs trickle down to young athletes in a game we both love. I don’t have all the answers, I just try to keep them apart on Friday night and Saturday. Great article, keep it coming. Jan, was there a guy named Crumm (sp) at u of R. with you that was all conference or of some note. Jan – it’s been a long time! You remember me from Kansas City? Would you have a few minutes for a phone call this week or next? David, I read the article. I think these kinds of warnings to liberals are helpful in nudging us to self-examination. My own think parallels Steve Pinker who is mentioned near the end of the article more than with the others. That said, the element the article neglects is the person of Donald Trump. He is incapable of leading a movement in my judgment, which I think means he symbolizes unrest more than leading it. When he undoes himself (or, as we may discover, already has with his Russia ties), he will no longer be that symbol, and the emptiness of the movement, if that is the right term, will be exposed. Authoritarianism must have a leader or someone who is seen in that role even when they are not. In may respects I think the article gives too much substance to conservative angst. He rejects this, but I do think racism is playing a major role n what radical conservatives are feeling. I also think modernity has left them out in the cold because skilled labor is not in demand and pays less than what it once did. Uneducated people are in a serious bind and the economy has no way to help them. Re=training is hard and time consuming. There is no quick solution to that real problem. Thus, I believe much of the angst the right is feeling is not the fault of liberals or Democrats, but is the “future shock” Alvin Toffler wrote about in 1970. That makes it difficult to say or do anything that connects with the people experiencing it. They are emotionally off balance and until they regain it, I don’t think there is much to be done to help them. Just some quick thoughts. I will continue to ponder all of this and may write about it eventually. Thank you for sending the link. Hope you are doing well, if that is possible these days. Hope everything is going well with you. Do you have an opinion about Rev; Carlton Pearson? Glenn, I don’t because I knew little about him until he got pushed out of evangelicalism. I think he now holds views very similar to most progressive Christians. I want to see the netflix film about him, while at the same time i am a bit skeptical of the need he still apparently has for publicity. Hope you are well. Thanks Jan. there was a program on National Public Radio Saturday. They were telling about his life and his views. I thought about seeing the film but was not sure if I wanted to spend that time in seeing it.. Working on cleaning up old bookmarks and found your current work. Good to see and will follow. “……Look Like, Part 2” is especially appreciated. I’ve never related to the two sides on abortion but accept it. Your comments (at SOJ) on Jewish belief that life begins when it could support itself was important to me though not an argument I was inclined to use with others. Hope you and Joy are doing well! Dan, how wonderful to hear from you. We think of you often, really. This is a contentious issue and I thought it important to try to bring a different perspective to it in hopes that it might add reason to a subject beset by extreme views. Thank you for writing, and for following my blog. Yes, I received Kathy’s email. I am thankful we had a wonderful visit last January. He was the best of the best, and taught me how to do inner city ministry many years ago. Thanks for checking in on this. Your friend Bill Blackwood, is he related to Roy Blackwood? I don’t actually know. I will ask him.